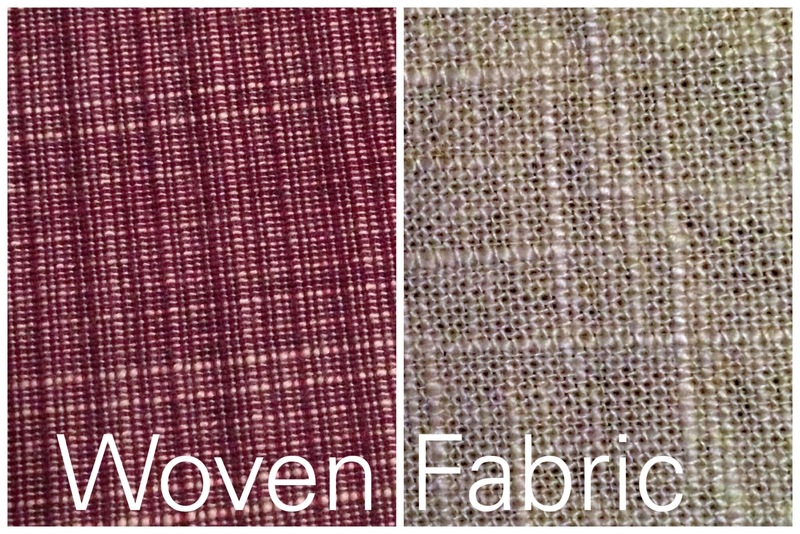 Holly Chayes » What’s the difference between knit and woven fabric? This post was originally posted on the self-made wardrobe project’s old blog, but I thought you might find it interesting. knit fabric and woven fabric? Knitted fabrics (knits) are made by being knit. Woven fabrics (wovens) are made by being woven. Both are creating using yarn (fluffy, soft string) or thread (thinner/finer than yarn). In fact most fabrics are created using either yarn or thread. Knitting is where you take a single length of yarn, and use it to create a row of loops, and then another row of loops on top of that, etc. The loops are called stitches (not to be confused with a stitch in sewing), and you knit using needles. The needles are used to hold and manipulate the stitches (loops). 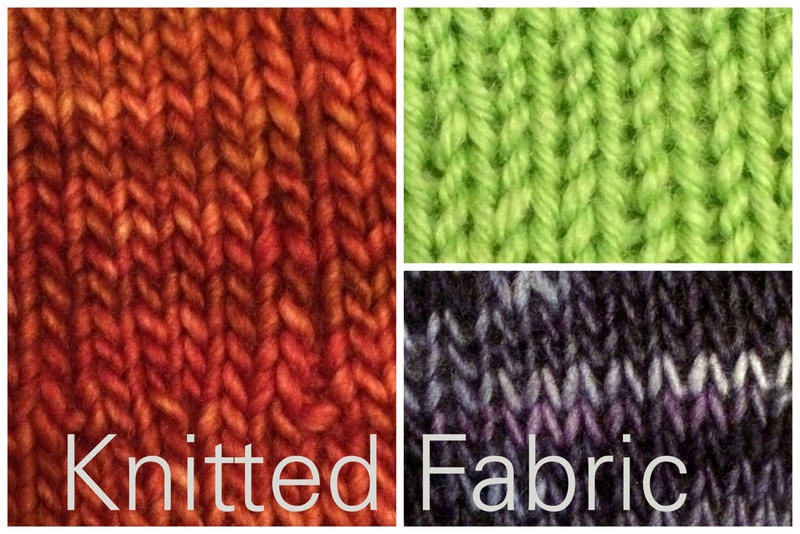 How you manipulate those stitches determines what pattern your finished fabric has. Weaving is done using a loom and multiple pieces of yarn or thread. You have parallel lines of yarn going vertically along your fabric, this is called your warp. Then you have yarn that moves horizontally across your fabric (right to left) over and under the warp (the threads moving vertically along your fabric). This yarn moving horizontally over and under your warp, is called your weft, and it “weaves” in and out of your warp. How the weft weaves over and under the warp determines the pattern of the finished fabric. What does that mean about the finished fabric? Knits are generally stretchier than wovens. Since knitted fabric is comprised of loops stacked on top of loops, this loops can expand, and then contract again. Woven fabric is based on a grid (remember that it has threads that go up and down as well as left and right.) That makes wovens much more “stable” and less stretchy, than knits. Because knits are stretchy, they also knits move with your body more than wovens do. This is why knits are used in athletic wear, and most casual clothing. That’s the very basics of knitted fabric and woven fabric. Of course, you can go deeper there are exceptions & caveats & more layers to explore, but these are the basics between the fabrics. I love them both, because they’re both good for very different things. Do you have a preference? Knits or Wovens? How many yards/meters of yarn does it take to knit a shawl?